The friendly community where you’ll build the app of your dreams. Anybody who’s ever made something they’re proud of can tell you: People do their best work in collaboration with other creative people. That’s a lesson that is especially important when it comes to making new technology. And that’s why we made Glitch. It’s a brand-new community where anybody can build the app of their dreams. Create any app you can imagine, by remixing working code into exactly what you need. Invite your friends and colleagues to collaborate with you, so you can code together in real-time. Your app is automatically running and ready for the world to use. And behind all that is a smart and inclusive community of creators, who’ll help you when you get stuck, and collaborate with you to make your ideas real. But what Glitch does is unique. You haven’t seen anything like this before. With Glitch, coding is a multi-player experience. 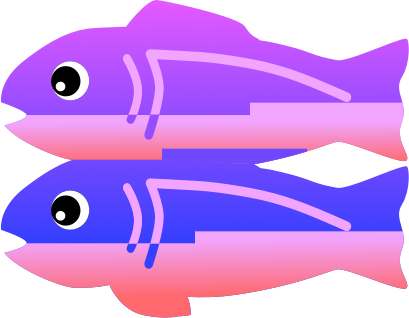 If you’re already a coder: Glitch makes every other development environment feel lonely and old-fashioned, as coding starts to feel more like simultaneous editing in Google Docs and less like the chore of reviewing pull requests. Everything you create is automatically deployed in realtime onto cloud servers, so there’s no provisioning of servers or management of infrastructure, just the joy of creating. 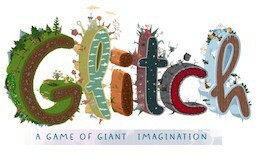 If you’ve never coded before: Glitch is the place to start. We’ve got a friendly and welcoming community (we don’t tolerate people being jerks) and you start by remixing apps that already work, running on real web servers that you don’t have to learn how to manage. 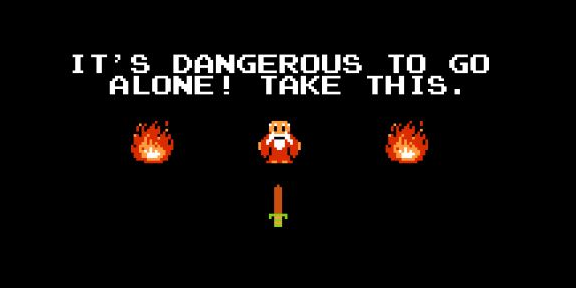 If you do get stuck, anyone in the Glitch community can come in and offer to help, just as easy as raising your hand. If you care about where tech is headed: You know that people are more frustrated than ever about the sense that people are being left behind or excluded by today’s tech industry. Our company, Fog Creek, has a history of setting the standards of where programming (and tech overall) is headed. With Glitch, we’re firmly saying that tech is headed to a place where everyone can participate and create the apps we’ll be using together. It’s even easier to use Glitch than it is to describe it — give it a try now and you’ll have your first app running in a minute. We think you’ll immediately see how it’s different than any other coding environment that’s come before. Even though Glitch is fun and easy, these are real apps, hosted on the same cloud infrastructure that runs the biggest sites on the web. You’re not using a toy when you’re part of the Glitch community, you’re just taking advantage of the easiest way to make real apps. There’s an awesome community directory of apps and bots that already work with many of the most popular web services and developer frameworks. With the notorious well-respected Jenn Schiffer as our community engineer, we’ll regularly have new projects, events and articles explaining how anyone can use Glitch. Glitch now works on almost every device so you can even edit code on tablets or phones, and your app will automatically update when you make those changes. It’s easier to bring your code into Glitch — there’s slick new support for importing and exporting GitHub projects, including a button you can put right on your project’s GitHub page that will let new users run it on Glitch with just one click. Because all software has glitches, and we’re going to fix ’em together! Well, okay, that’s not the only reason. If you’ve been following along, you know Glitch is a new name for our community; our beta launch last year was under the name Gomix. Why did we change the name (again)? Well, we heard from some members of our community that the old name evokes a hurtful slur in some Russian communities, and given our deep commitment to building an inclusive service, that didn’t sit right with us, even though people understand we didn’t mean to be hurtful. But then we realized that in fixing this slight, we had the opportunity to pick a much better name, one that makes it absolutely clear that we’re building a community for everyone. So: now we’ve got our shiny new name, and we are Glitch for good! We got the name Glitch thanks to our friends at Slack. Their company started as a quirky and charming game by the name of Glitch and given Slack’s incredible success, they could have simply chosen to keep that name to themselves forever. Instead, Slack has generously agreed to help us to make sure “Glitch” has a future going forward — not just by letting us reuse the name, but also by teaming up with us to be one of the first companies to really make use of the power of Glitch to help coders build something amazing together. We can’t wait to help show you the brilliant stuff they’ve been cooking up. We’re thankful to everyone on Slack’s team, especially the founders and creators who made up Tiny Speck, for letting us be stewards of their legacy of building creative, colorful and engaging places for people to be creative. Okay, that’s enough talk. Let’s go make something!